Prizewinning novelist, feminist, and scholar Siri Hustvedt turns her brilliant and critical eye toward the metaphysical issues of neuropsychology in this lauded, standalone volume. Originally published in her “canonical” (Publishers Weekly) and “absorbing” (Kirkus Reviews) collection A Woman Looking at Men Looking at Women, The Delusions of Certainty exposes how the age-old, unresolved mind-body problem has shaped—and often distorted and confused—contemporary thought in neuroscience, psychiatry, genetics, artificial intelligence, and evolutionary psychology. Despite excited predictions that technological innovation will usher in artificial wombs and everlasting life, it is still true that every human being is born from the body of his or her mother and every human being dies. No one chooses to be born, and although some people decide to die, many of us would prefer not to. Beginnings and endings, life and death are not simple concepts. When “life” begins has long been a philosophical question as well as the subject of ferocious political debate. What constitutes “death” is also unclear, although once a corpse begins to putrefy, all doubt vanishes. Nevertheless, every mammal begins in maternal space. And yet, this obvious fact, that a fetus, something every person once was, is physically connected to its mother and cannot survive without her, has played a relatively small role in mainstream philosophical and scientific thought about what human beings are. Innumerable books have been written about why and how the idea of the autonomous, self-governing, free man who shapes his own destiny came about in the history of the West. Many of them are concerned with how historical ideas shaped the consciousness of whole populations and remain with us still and, further, whether the humanist ideal, generally understood to have started with the Renaissance (named, of course, after the fact) and culminated in the Enlightenment, is good or bad or a bit of both. Mostly, such books have little or no use for biology. Although it is assumed that biological realities exist—how could one be swayed by an idea without a mind and body to receive it?—the material intricacies of living things are often left out of the story. But biology, too, relies on concepts, concepts of life and death, of beginnings and endings, and of a creature’s borders. Skin forms a border covering a human being, who is made up of billions of cells. A bacterium, on the other hand, is a microscopic, usually single-celled organism that consumes nutrients, multiplies, and becomes a colony with its own morphology (form and structure) and movement. Science is about making good models and creating borders that divide nature into comprehensible bits, which can then be classified, named, and tested. Sometimes classifications and names lose their relevance and scientists adopt a model with new designations better suited to their needs. Distinguishing one thing from another is essential, however. Sometimes isolating a thing is difficult. Sometimes its borders are not obvious. It is interesting in this context to discover that scientists know little about the placenta, which has been variously described in recent years as poorly understood, underappreciated, and even as “the lost neuroendocrine organ.”1 Of course, when a person, thing, or bodily organ is assigned the status “unfairly ignored,” it usually serves as a flag to alert us to the fact that the times have changed. The placenta is a borderline organ between mother and fetus. It is a composite structure, sometimes described as a fetomaternal organ, because it develops from both the mother’s and the embryo’s tissues. It occupies a between space inside maternal space. Since the scientific revolution, “divide and conquer” has been a route to understanding, but much depends on the divisions that are made. I ran across an intriguing sentence in a medical school lecture, “Physiology of Normal Labor and Delivery”: “The mechanical steps the baby undergoes can be arbitrarily divided, and, clinically, they are usually broken down into six or eight steps for ease of discussion. It must be understood, however, that these are arbitrary distinctions in a natural continuum.”3 The physician tells us, albeit awkwardly, first that what happens to the infant in labor and birth consists of mechanical steps but then undermines his own statement by asserting that those same steps can be divided into arbitrary ones. If the mechanical steps are arbitrary and truly don’t reflect the natural continuum, which, as a continuum, resists the very idea of any and all “steps,” then the words “mechanical steps” are the wrong way to introduce the sentence. The “steps” are conveniences used to carve up an ongoing indivisible process, so it can be talked about more easily. It is not hard for a person to get lost in bad prose, but my sense is that the author’s language reveals not just his ambivalence about where to draw lines between one thing or “step” and another but his desire to make sure his medical students understand that there is a difference between the categories used in medicine and the dynamic processes to which they refer—in this case, labor and birth. Language counts, and language is continually generating metaphors. For example, how is a placenta like a third brain? Samuel Yen, who coined the phrase, argued for the placenta as a complex mediator between the mother’s brain and the immature fetal brain, a short-lived go-between brain with startlingly sophisticated capacities for regulating the fetal environment. The language used to describe what the placenta does include words used for “the first brain,” as well as for other bodily systems: “messages,” “signals,” “communication,” and “information.” It is not absurd to ask where the idea of “the mind” comes in to all this systemic signaling. Although it is odd to think of an organ like the placenta as something like a mind, it is less odd to think of it as something like a brain—another elaborate, hugely complicated, still not well understood physical organ. When the brain ceases to function, even when your heart is pumping and your lungs are working, doesn’t your mind go with it? Are you dead? Or does all “communication” of various kinds, all biological motion, have to stop before a person is truly dead and begins to decay? What significance, if any, does the fact that mammals gestate inside another body have for the mind? What does this biological reality have to do with how a mammal develops over time? We are born of someone, but we do not die in pairs. We die alone, although sometimes a spouse, partner, or friend quickly follows his or her beloved to the grave. The old expression for this phenomenon was “dying of grief.” Human beings come out of our mothers and into the world, and we go out from that same world when our bodies shut down in one way or another. Does a mind and the consciousness that accompanies it begin at birth and end at death? Where exactly is the mind located in the body? Is it only the brain that thinks or do other organs think in some way, too? What is thinking? Why are some contemporary scientists convinced that through artificial minds, death can be overcome, not in a heavenly paradise but here on earth? These are old questions without easy answers, but they take me back to the seventeenth century and to some of its famous and less famous philosophers who were hard at work trying to figure out what minds are and what they have to do with our bodies. 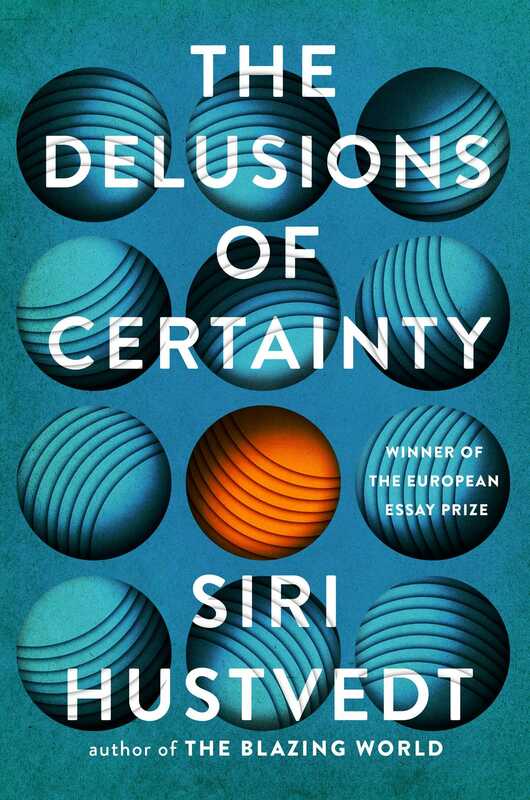 "Siri Hustvedt proves her membership in the highest rank of neuroscientists and philosophers who probe the nature of thought and the workings of consciousness. A novelist and a student of psychoanalysis and neuroscience, Hustvedt can ask questions others cannot ask about imagination, identity, epistemology, gendered power, and mortality. Her authoritative knowledge and her courage to challenge the status quo guide the reader to fresh epiphanies about what counts as human nature. The work is, in the end, a work of freedom." "The Delusions of Certainty is the best book on the mind-body problem I have ever read. Perhaps only a great novelist and essayist can address what neuroscientists and philosophers fail to question. 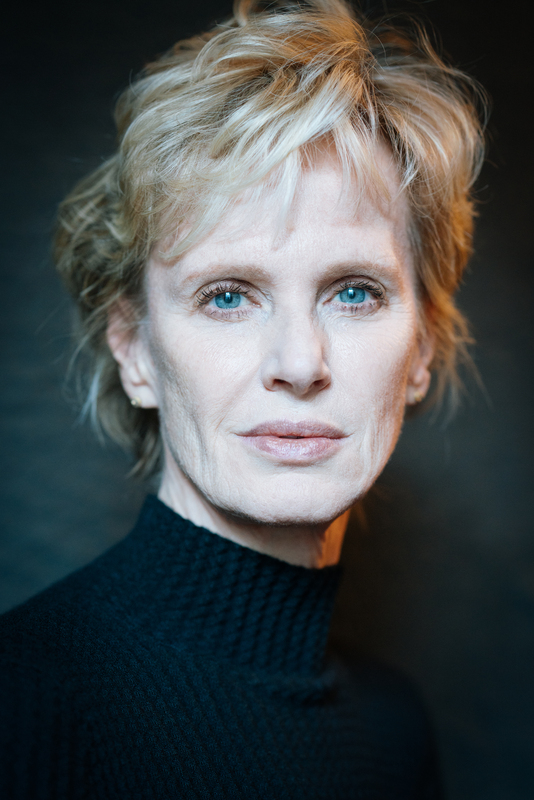 Siri Hustvedt takes the reader on an inspiring journey into highly relevant and often unanswered questions about what it means to be human."